You know I Really Like Saying 'Another HomeRome Listing is Under Contract'. This rancher is in one of my favorite areas of Baltimore City... named "Pill Hill" because of the all the doctors and pharmacists who originally lived in the area. I took the listing in June after it had been on the market, without success, for the prior six months. I really like this home and what it had to offer and did not think it was overpriced. I felt The Right Buyer has not seen it! The owner was also quite special...this lovely woman was my daughter's first grade teacher. So now I loved the area, I loved the house and I adored the owner. No way, I was not going to sell it! We had one offer.. but that buyer's agent kept telling me all the things that were wrong with the house. ( I guess that was his way of negotiating.) My seller rejected that offer and within 10 days we had a beautiful offer from one of my favorite agents, Leslie Madden. She had the right buyers. They were perfect and loved the neighborhood. Leslie told me the first time they toured the house, they stayed for two hours..sitting on the screened in porch enjoying the gardens...they loved it! Home Inspection was yesterday and settlement is scheduled for the first week in September. Why I Chose Real Estate...It Really Was an Accident! 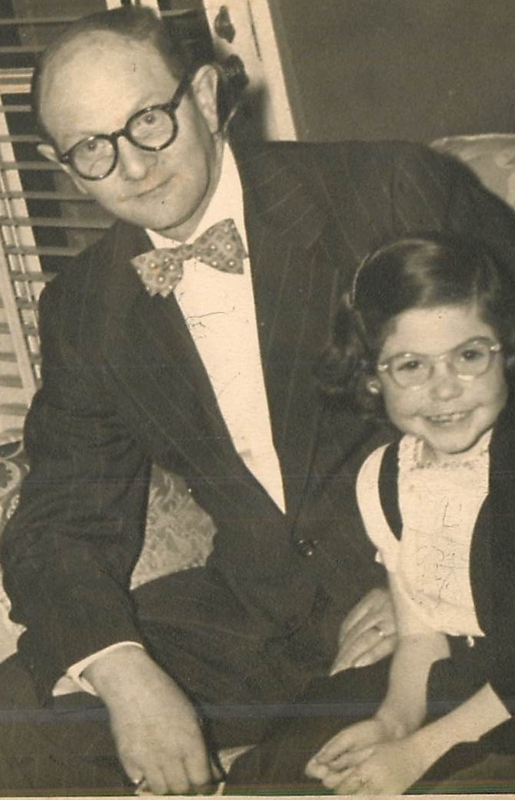 As a little girl, I only wanted to be a nurse so I could take care of my daddy. My mom worked 7 days a week in our restaurant but I spent most of my time with my dad. He was a diabetic, among other things, and I used to give him his insulin shots. Now this doesn't sound like a big deal but you have to understand he passed away before my ninth birthday. See if I was a nurse, I could have saved him. We used to go for ice cream...and I could keep a secret. Shhh...he wasn't supposed to have sugar. 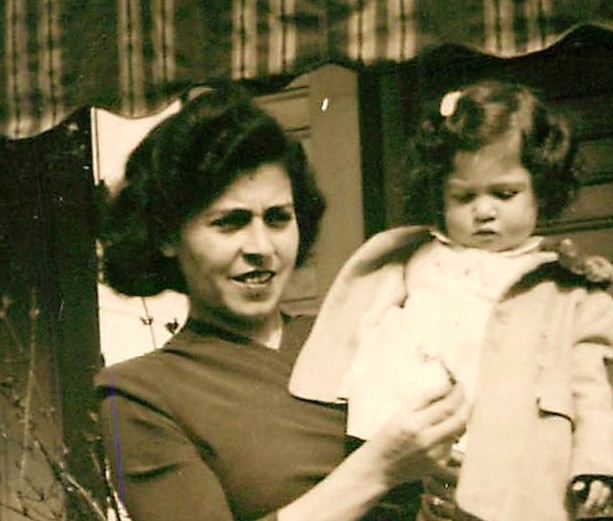 This is a photo of my mother holding me as a toddler. Chubby cheeks are part of this contest. 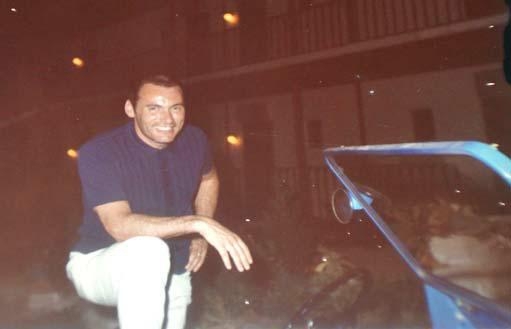 Dad passed away when I was only eight years old. 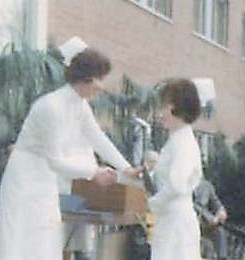 Receiving my nursing diploma. Yeah! I am an RN! And then I made a wish and Lee came true. 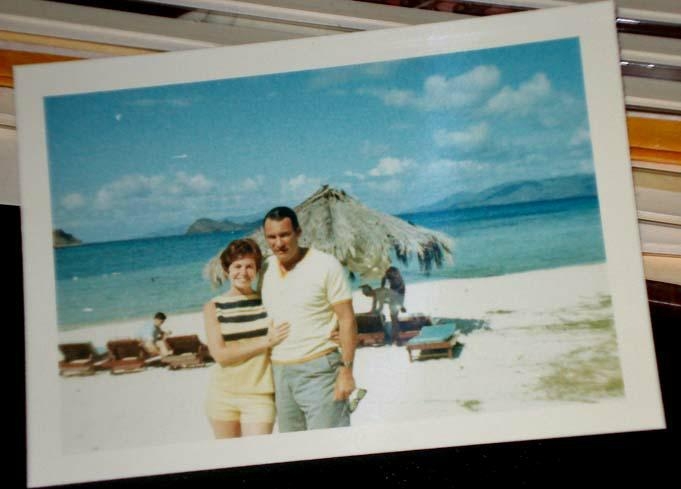 The two photos below were from our honeymoon. We have been married 15,766 days! Yes, we still count the days and they are going by way too fast! Three years after our wedding, we had a our wonderful daughter, Erica, and I stopped my nursing career. That was after being named the youngest Head Nurse at Sinai Hospital. Being a 'stay at home mom' I took up my second career..that of a ceramic and porcelain artist. There was a full studio in my home where I custom designed pottery for clients, The Design Center in DC, the Symphony Decorator's Show House, plus doing window displays for fine jewelry stores. My porcelains were used to drape the strands of gold, diamonds and pearls over the art pieces. I even made closing gifts for some of the real estate agents. Then there was the accident...rear ended while driving and had neck and back issues and was told I needed surgery. Since they could not guarantee the use of my hands...I decided against it. They advised me not to lift more than five pounds. Whoa! My box of clay weighed 50 pounds..no more ceramics for awhile. During this time I get a "cold" call from a former nurse asking if I wanted to sell my house? I wondered why she would be interested. It was because she was now a Realtor®. I had been helping people write ads for their homes and finding houses in the area for friends. For that service, I got beautiful thank you notes. This former nurse told me...I could get paid for doing that and she wanted my referrals. That same week, I signed up and took a Real Estate course to "tide" me over until I could get back to the clay which I loved. That was in 1990 and many of my former patients, their families and owners of my artwork are now my real estate clients. I love walking into a home and finding one of my custom pieces out on display. I love being able to use my nursing background especially the psychology that is needed for the stress of moving. I love being able to incorporate my nursing, my ceramic art and my love of real estate into my wonderful life! You can live within walking distance of Johns Hopkins Hospital and enjoy the white marble steps that are so...Baltimore...for under $50,000! You did read that right! Here is a 3 level townhome (that we used to call a row-home) recently renovated with new windows, updated kitchen and a parking pad off your kitchen door for at least six cars! Gas heat, central air, wood floors and a vented skylight plus a full basement for all your storage needs. The two bedrooms upstairs, each with two windows, share a full bath. Here are those marble steps that are famous in Baltimore. 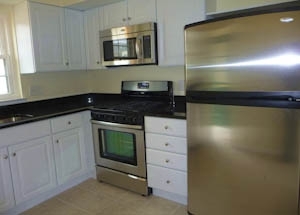 Updated eat in kitchen with wood cabinets and door to your parking pad. Upstairs hall way has a vented sky light! Both bedrooms have two windows and wood floors. Updated white bathroom has tub/shower/sink and storage shelves. This home is located at 406 North Port Street about 10 blocks from the hospital, 4-5 blocks from Patterson Park, minutes to restaurants in Little Italy, and minutes to Baltimore's Inner Harbor. Who do you know that would like to live in this renovated row house? Nurses, doctors, students, hospital employees could all save on gas and commuting! Who do you know who would like to be close to everything in Downtown Baltimore? Who do you know that would like to own instead of paying the landlord. As Agents We Love to Brag! As agents we love to brag! But how do you do it without sounding like a show off? When I got my very first listing...my office manager put up a banner that read: 'Congratulations Margaret'. That only happened once...they figured it was beginner's luck. Little did they know! How do we get that banner today? We create it. We make it happen and blogging is a wonderful way to brag! I would rather call it sharing my success. It is a way to let others know we are good at what we do! We do so much in this business giving advice to clients, friends and even other agents. We make things happen for our buyers and sellers. We help them realize their dreams and solve a myriad of problems. We become the adviser, counselor, negotiator, stager, conductor, marketing person, salesperson, psychologist and confidant ...all while being the professional who continues listing and selling homes. As agents we love to share our success and what better way than right here on ActiveRain, I don't have to wait for some one to "notice'' what I've done. I can announce it in banner headlines, right on my blog. I can share the road to success with others. Yes some may call it bragging but that's OK.
One definition of bragging is to speak of (one's own achievements, possessions) ...boastfully. You need some confidence in this business to brag and do it successfully. I love hearing of others achievements. I am honored when they share the positive results of their hard work. I love encouraging others. Most of us want this reinforcement just like when we were kids,.. "Good job", "Mommy is proud of you." How do you BRAG without being offensive? You could run around saying I am the best! I sold a gazillion million this year, I am the top honcho in the entire world. If you do...you are not going to win friends or influence people. You do need to have confidence to let the public know you can get the job done. I like this quote by John Unitas, also known as 'The Golden Arm" who was a great Baltimore Colts Quarterback. Yes it would be wonderful if we could rely on the rest of world recognizing our expertise...but don't count on it! You have to share your expertise and you can do this by bragging blogging! I Really Like Saying This... "Another HomeRome Under Contract"
I really like saying this... 'Another HomeRome Under Contract.' This one is located at 8271 Streamwood Drive, Pikesville, MD. 21208 . For this market, it has been on a short time and we had competing offers. We have found the right buyers! Now I have to find the sellers a new home. We have already started looking for a home with a first floor master bedroom suite, a two car garage and a lower level. We are looking at 'over 55' communities. They are Young.. Getting Married and Want a Home With Water Views in the Baltimore Area? They are Young...Getting married and Want a Home With Water Views in the Baltimore Area? Can you tell from these photos that I really was working? Really I was...showing property in Sparrows Point. As my young buyers were finishing up with the last house of the day...I walked over and took this picture. This is exactly what they want...to see the water from someplace in their home. If you have a home really close to the water that is under $250,000...I have the perfect buyers. Proceed With Extreme Caution...Ground Rent Registry Law in Maryland! A few states still have Ground Rents (Maryland, Pennsylvania and Hawaii) as a way of conveying property. On the first page of our Maryland Residential Contract Of Sale, paragraph #5, we need to put an 'X' in one of the blanks. What's a listing agent to do? Proceed with caution...Take a look at this notice. The Maryland Department of Assessments and Taxation (“SDAT”) has posted guidance on its website to help interpret The Registry of Ground Leases provisions of Maryland Code, Real Property Article 8-701 et seq. (hereinafter “Registry”). Unfortunately, much uncertainty still exists. The Registry, which became effective on October 1, 2007, required ground lease holders to register ground rent leases with the State by September 30, 2010. If a property subject to a ground rent was not timely registered, the reversionary interest of the ground lease holder under the ground lease is extinguished and ground rent is no longer payable to the ground lease holder. When the ground lease is extinguished, the ground lease tenant may apply for an “Extinguishment Certificate.” Here’s where it gets tricky. Extinguishment of the ground lease is effective to vest a fee simple title in the tenant when the tenant records the certificate in the land records. However, in many cases, even though the ground lease was extinguished because it wasn’t registered, the Certificate was not recorded. In that case, while there is no ground rent payable, it’s not accurate to say that the tenant owns the fee simple interest. Suppose such a property is listed for sale. What’s the listing agent to do? On one hand, it’s not accurate to state the property is subject to ground rent, because it isn’t. On the other hand, it’s not accurate to list the property as fee simple, because it’s not that either. 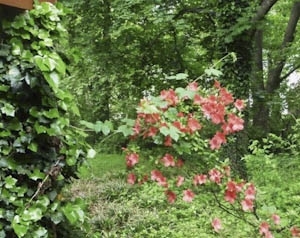 At this point, we think the best policy is to state in the listing that the property is subject to ground rent, then in the remarks disclose that no ground rent is due because the ground lease was extinguished, but the property cannot be conveyed in fee simple until a Certificate of Extinguishment is recorded. If there was a ground rent in the past, that ground rent was extinguished by operation of law on September 30, 2010 because the owner of the ground rent failed to register their (sic) interest as required by law. The newly posted SDAT website guidance states that for fee simple title to vest after a ground rent holder’s failure to timely register the ground rent, a leasehold tenant needs to obtain and record the Certificate of Extinguishment in the land records office where the property is located. To obtain a Certificate of Extinguishment, one must mail a written request to: State Department of Assessments and Taxation; Attention: Ground Rent; 301 W. Preston Street; Room 801; Baltimore, MD 21201. To top it all off, a Constitutional challenge to the Registry laws injects additional uncertainty in the Registry law. On June 6, 2011, Maryland Court of Appeals Judges heard oral arguments in Muskin v. the State Department of Assessments and Taxation, Case Number 543, September 2010 term. The Petitioner in the matter, a Trustee who oversees assets of a Trust consisting solely of 300 ground rents, challenged the Constitutionality of The Registry of Ground Leases provisions. He claims the Registry is an unconstitutional taking since the vested property rights of the ground rent owner are given to the leasehold owner for no compensation. The Court has yet to render a decision in the matter so the final outcome remains uncertain. We will post an overview of the case on our website when an opinion is rendered. For more information go to: http://www.dat.state.md.us/sdatweb/extinguishgroundrent.html. Send inquiries to SDAT at groundrent@date.state.md.us or call (410) 767-4805. You may also call MAR Staff Attorney Aimee Bader at 800-638-6425. 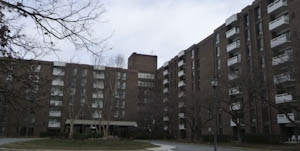 6210 Park Heights Ave Unit 602....Strathmore Towers..Baltimore, Maryland 21215 Amazing Price... UNDER $40,000!!! How would you like to come home to an art filled lobby with a doorman, valet parking, 24 hour receptionist and all your utilities included in the monthly condo fees? Now you can!! Located in Upper Park Heights..in the eruv! You will enter through double doors into a spacious luxury sixth floor condominium. Enjoy the 23 foot covered balcony with two sets of sliders giving brightness to this spacious one bedroom, one full bath beautifully cared for condo. 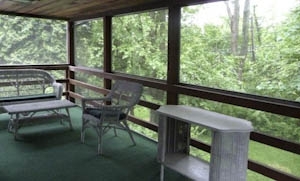 How about breakfast on this very large balcony where you can enjoy morning coffee or have friends over for lunch. Eat in kitchen has pantry storage, dishwasher, refrigerator, instant hot, electric stove and room for a nice sized table and chairs. You have the convenience of a separate laundry room right in your own unit and all utilities are included in the monthly fee. Not too big and not too small...but just right! Bright living room with two sets of sliders! Lots of room in those closets! Perfect for a first time buyers, college students young investors.. because...Who Says Baltimore, Maryland Condos are Only For the Old Folks? This one has beautiful curb appeal and shows pride of ownership. This is such a special stone home and was built to last. Four bedrooms on the first level with a sunken living room, formal dining room and a wonderful country kitchen that overlooks the level back yard. Gigantic lower level with another master bedroom, full bath and rooms for all your entertaining needs. Level walk out to back yard and an abundant amount of parking. Here is another look at Greens Lane. When someone calls and asks when will there be an Open House. My reply : When would you like it open? This sign is always in my car. So when showing any of my listings...it is not unusual for me to place this open house balloon sign. It can go right on the post sign, it can be staked in the ground or I can even place it in the back window of my car. Never again do I blow up balloons or drive (in danger) with a car full of balloons. Like everything in Real Estate... keep trying new things, Find out what bring results...Open Houses Work...Just Not All the Time! Being featured as Realtor Magazine's Open House Master , I really enjoy doing unusual Open Houses...Opens that bring attention to the property. When someone asks: When will there be a Baltimore Open House? My answer: When would you like it open? Baltimore Condos are incredible bargains right now! Baltimore condos are incredible bargains right now! Why pay the landlord when you can be the owner of your own place and at a bargain price? No longer do condominiums in Baltimore, Maryland have to be for the elderly or retired buyers? Sure, many are moving out of a big house and looking forward to no maintenance and the ability to travel without the concerns of leaving home. Young people in a condo, might be a novel idea in Baltimore but in New York and other big cities there are lots and lots of kids who grow up in a high-rise buildings - there is no choice. It has not been so common here in Baltimore. But with so many condominiums on the market with fantastically low prices, there is an opportunity for singles, young married, roommates, college students and young professionals to get into the housing market right now. The ramps in these buildings are perfect for strollers and bikes not just wheelchairs and walkers. Get into the market in some cases for well under $100,000 and figure in your condo payments. Then live like you are on vacation, in a hotel, some have all the amenities of a full service building. You can live in a condominium in Baltimore, enjoy home ownership and build future equity. 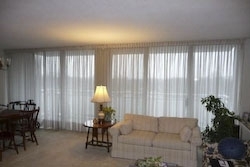 One Bedroom Bartonwood Condo Unit #504 2903 Fallstaff Rd. Baltimore,MD 21209.. Enjoy this 5th floor (elevator building) spacious one bedroom one bath Bartonwood condo with a separate utility room that houses a full size washer and dryer. Sliding glass doors to 16 foot covered balcony is the perfect place to enjoy morning coffee and gentle breezes overlooking tree top views. Under $65,000 with low monthly Condo fee $262. How would you like to come home to an art filled lobby with a doorman, valet parking, 24 hour receptionist and all your utilities included in the monthly condo fee of $480? Enjoy the 23 foot covered balcony with two sets of sliders giving brightness to this spacious one bedroom, one full bath beautifully cared for condo. How about breakfast on this very large balcony where you can enjoy morning coffee or have friends over for lunch? Closets! 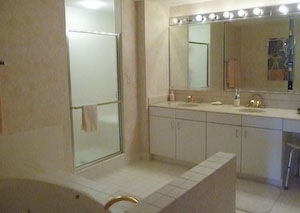 I counted 5 in the master bedroom plus a large dressing area. Eat in kitchen has pantry storage, dishwasher, refrigerator, instant hot, electric stove and room for a nice sized table and chairs. 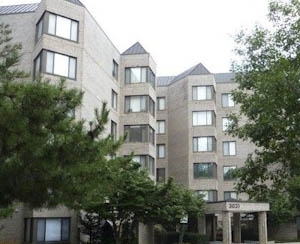 Pikesville Condo... 7 Slade Ave Unit 419 in Baltimore County 21208 Here is a two bedroom and two full bath fourth floor condominium in the luxurious Seven Slade Condo also known as Suburban Oaks. Seven Slade is a full service elevator building with a swimming pool, receptionist and doorman. Under $85,000 Condo fee $668 includes all utilities. The Towers 3031 Fallstaff Rd. #102C Baltimore,MD 21209 Not too big and not too small, this wonderfully spacious two bedroom condominium with one full bath plus a powder room and full laundry room, is a perfect size. Currently used as a one bedroom and den. Large open angled floor plan is defined only by your furniture placement. Very bright with over-sized windows and double sliding glass doors to the private brick enclosed patio. The Towers also has a community center, tennis courts and a swimming pool. This townhouse condo in a gated community with pool and tennis courts is offered at under $250,000 condo fee $245. This interior brick and siding townhome has 3 bedrooms, 2 full and 2 half baths, a finished lower level with new sliding glass door to a very private enlarged concrete patio. Brand new gourmet kitchen with ceramic floors, white cabinets, granite counters, new stainless steel 'Whirlpool Gold' appliances including a 5 burner gas stove, built in microwave, oversized stainless sink, disposal, dishwasher, and refrigerator. The first floor has gleaming hardwood floors. The bathrooms are all updated with four TOTO toilets. With new replacement windows, new carpet upstairs and neutral paint, this townhouse condominium is ready to move right in! This gated community, with pool and tennis, is close enough to walk to Towson Town Center with plenty of restaurants and great shopping. Perfect move in condition right now! But what about the high condo fees of $600, $700 a month or even more? Because those fees in many cases include the utilities, it is still more affordable than almost any single family home, and most of us believe renting is a waste! If this trend catches on, the prices will go back up and in a few years the buyers will have equity to move into their next home. I see this as a new way to market all of my special properties. As these new buyers decide to move up, they might want to go to Annen Woods or The Risteau. Marketing to the younger generation, students and first time buyers, is a good investment for parents of law, medical and college students. Let’s think outside the box. Get into the market for well under $100,000 and figure in your condo payments. Then live like you are on vacation with no outside maintenance. Firm...Final Offer...But Are You Sure? Had an agent leave me a message late last night with a counter offer saying this number was firm along with a list of reasons why the buyers would not go any higher. In the mean time, another offer has arrived... and it is better than the first offer. I call the first agent and thank her for leaving me a message with her final offer. I also wanted her to know that IF this was her buyer's final offer ...we had no place to go. She thanked me and I thought that was the end. This morning, quite early, my phone rings. It was the agent with the first buyers ...they now admit they love the house and do not want to lose it. Well guess what...it may be too late!! Do you say it is a best and final offer in order give the impression of being a "strong" negotiator? Are you following your client's wishes and not your own. When Opportunity Knocks...Don't Complain About the Noise! Busy, yes, very! There is lots to do every day and all day but one of my sayings...When Opportunity Knocks...Don't Complain About the Noise! I have had a full month already with two smooth settlements, a short sale approval (after only a few weeks), 5 new listings in the pipeline, arranging for inspections, offers on two of my newest listings, multiple showings and a canceled listing. This is in addition to all the personal stuff in my life... and writing a daily post. A call from an agent starts a discussion... telling me how slow July is, no business...things are at a stand still. Then adds ...July is always slow. Now how do I respond? If I say yeah...it's slow-that would not be truthful. If I told him how much I am doing right now....I come off as bragging. So I just listen, let him talk, let him tell me that no one is doing any business. The market is really bad. I think if you perceive the market as bad..you will make that come true. Are you listening for the knocks or are you complaining about the noise? It is Sydney's sixth birthday and I want to wish her a very very Happy Birthday. Sydney has been a very helpful mini hostess at some of my ActiveRain gatherings. She is also known as the Mortgage Princess..but of course, her mom is Bridget who is known as Mortgage Mama. Sydney is shown here with a pretty dress and hat showing her smile at my Garden Party in Baltimore! And this photo below is from A Sunday in Baltimore with a few special ActiveRainers! Happy Birthday Sydney! Hope your mama will share your day with us. Have a wonderful time!. Beautiful country kitchen has it all plus large windows overlooking the level backyard. 8820 Greens Lane is the location of this very pretty stone rancher. Please call me when would you are ready to tour this very special stone rancher in pristine condition?